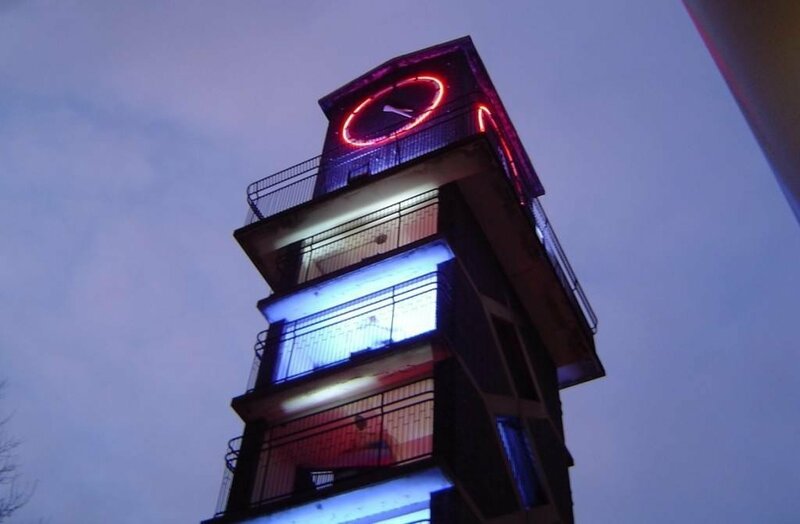 This clock tower was described by its architect as a “practical folly” which he also intended to serve as an observation tower for the general public. Completed in the 1950s, it’s a beautiful modernist feature of Chrisp Street Market. After a bracing climb of about 70 feet guests will enjoy close-up views of the towers of Canary Wharf from a viewing platform below the clock.